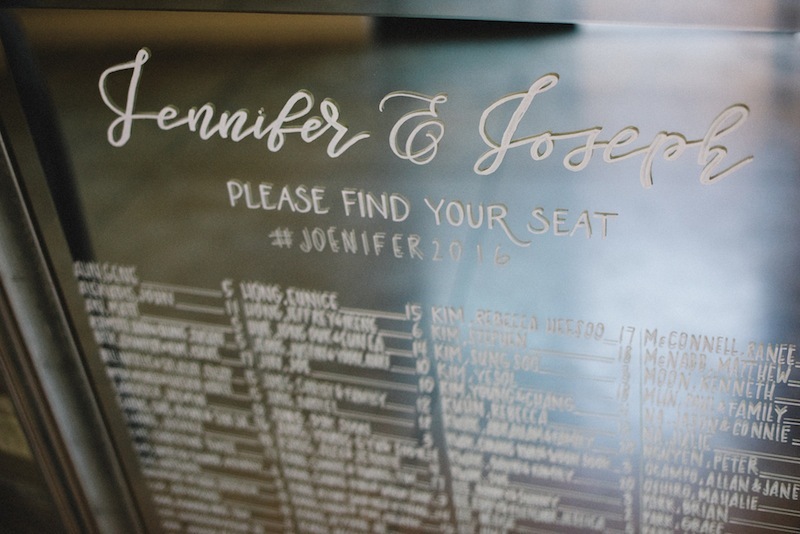 We are delighted to share Jennifer and Joseph's wedding at The Colony House with a modern, garden inspired design. 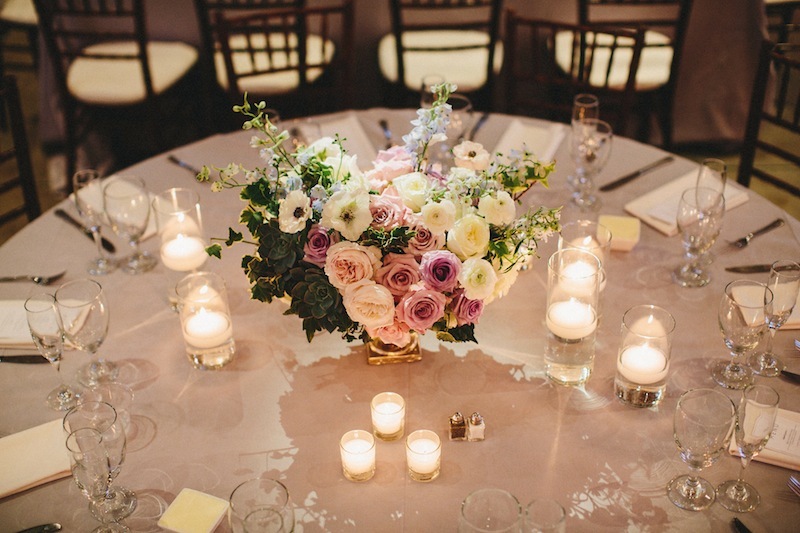 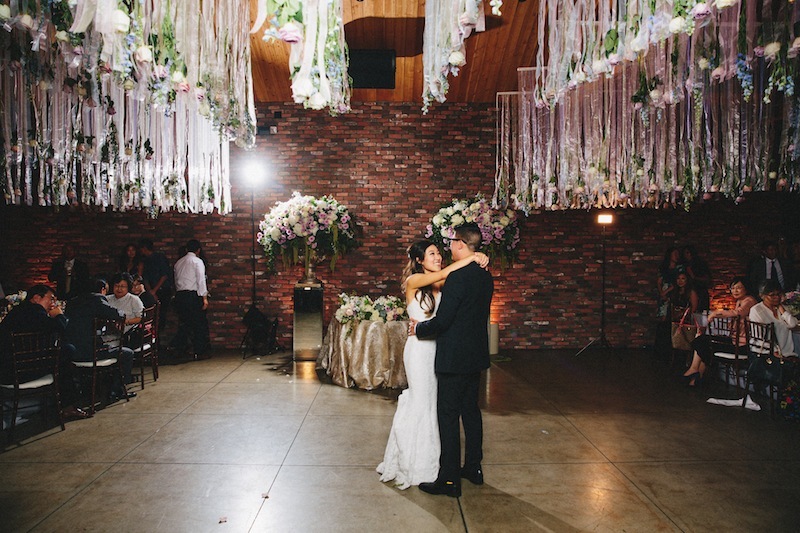 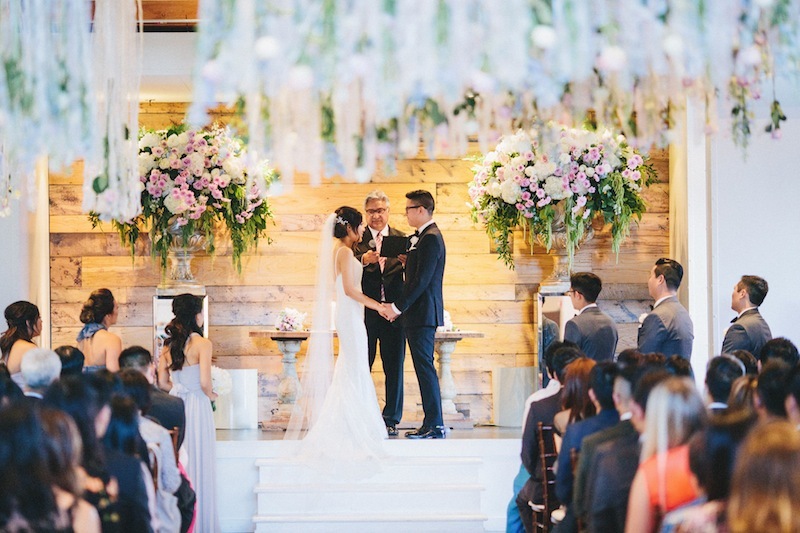 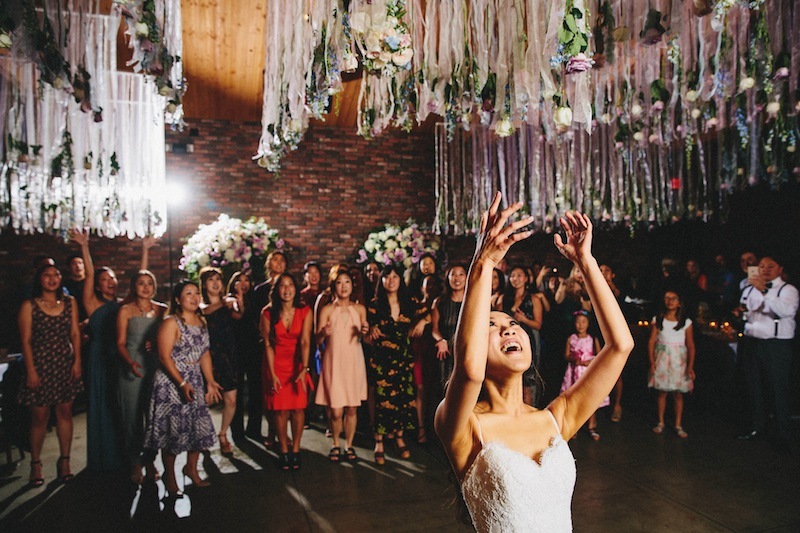 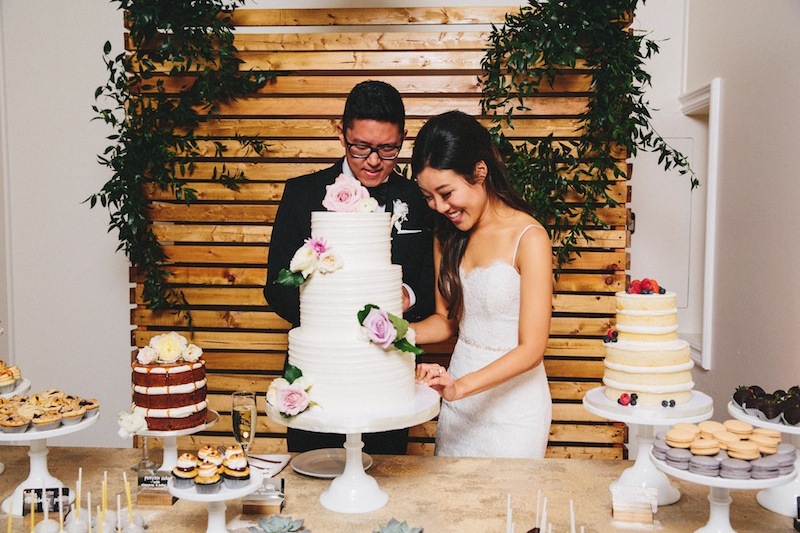 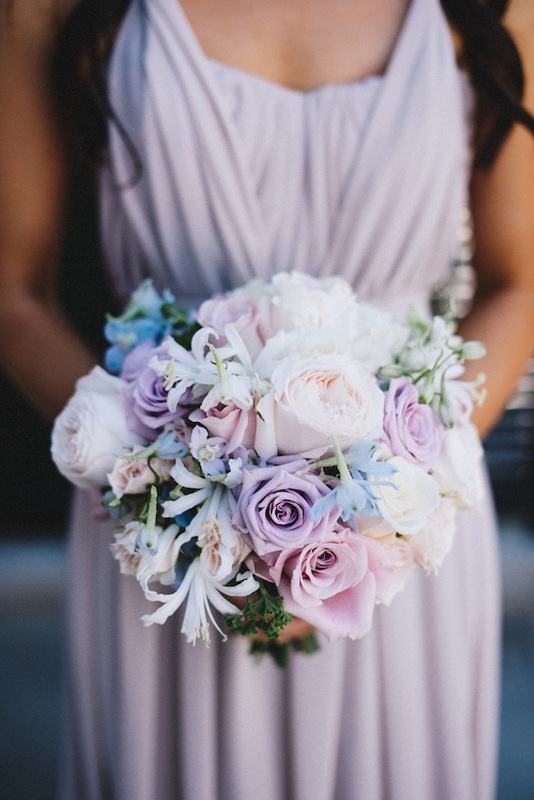 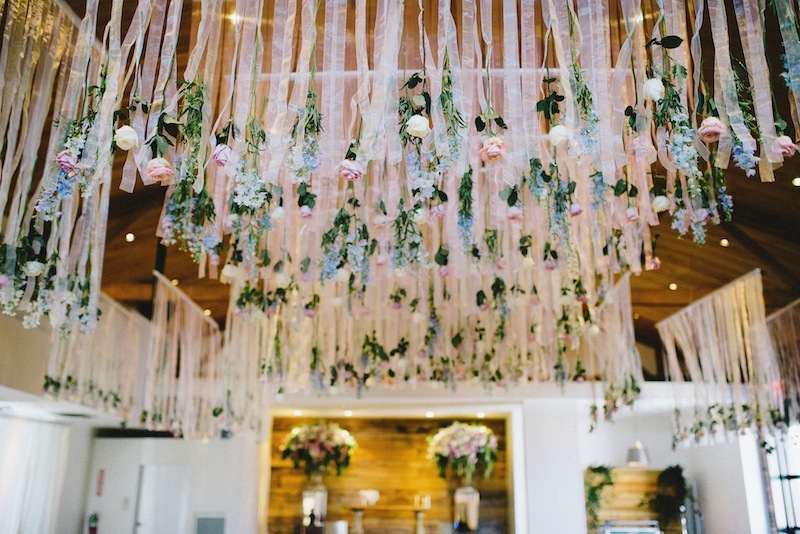 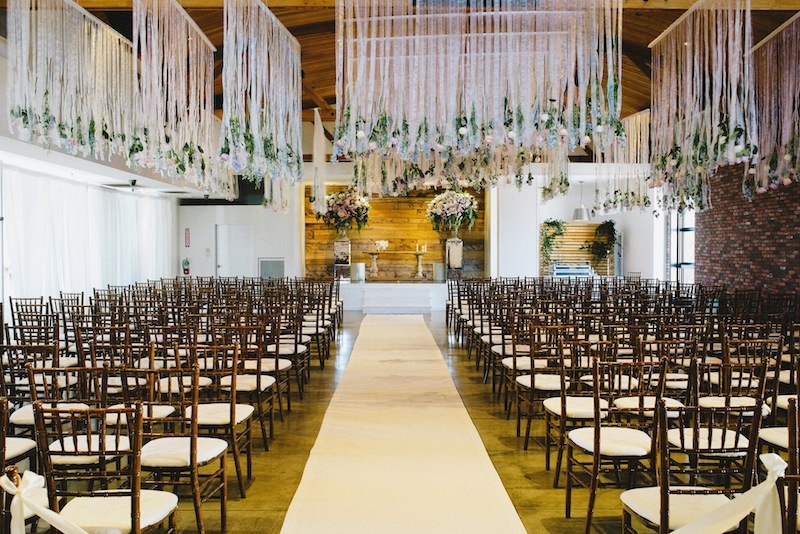 The Bride and Groom, with the help of White Lilac, brought the garden indoors and created a romantic vibe at The Colony House with sheer ribbons and roses hanging from the ceiling and soft pink and purple centerpieces. 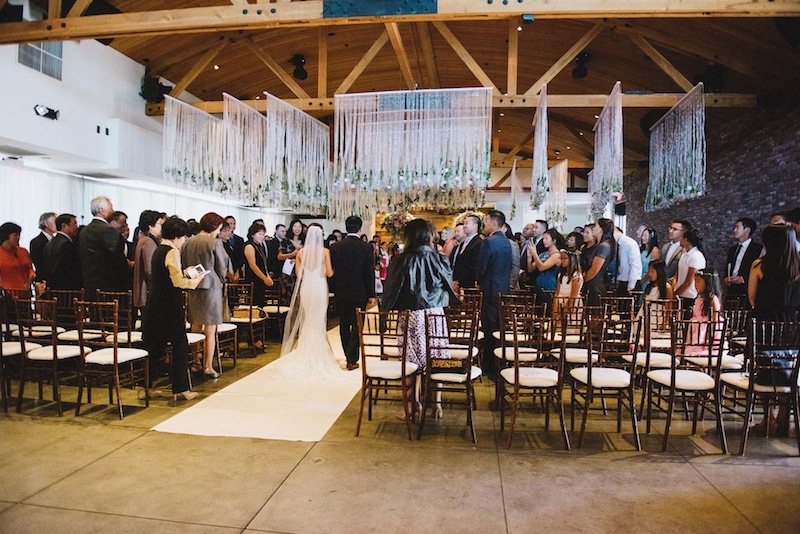 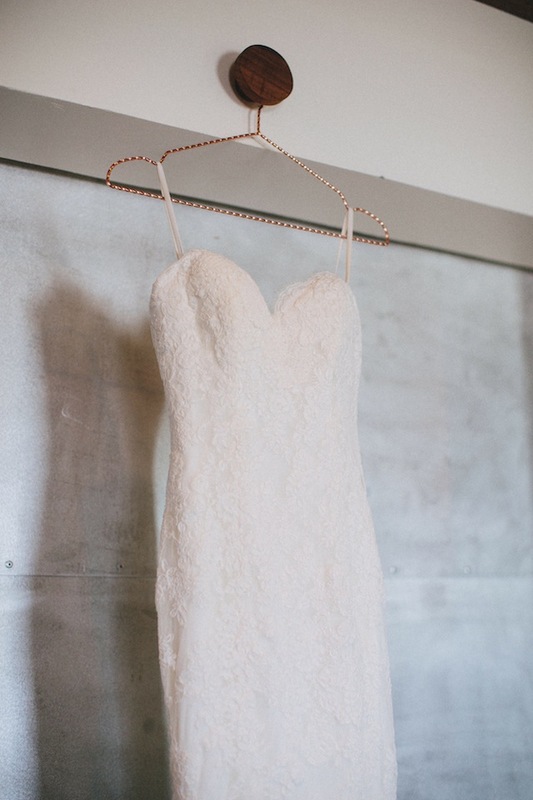 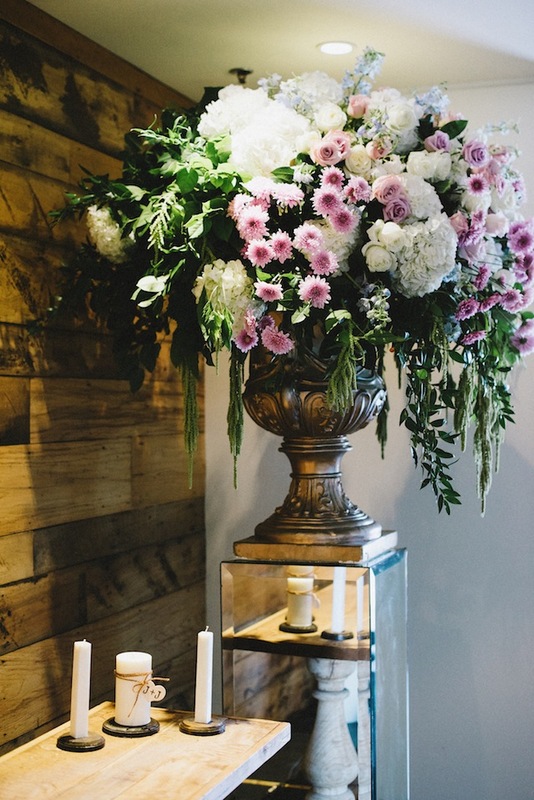 The mix of The Colony House's wooden beams and exposed brick wall made for a warm and inviting reception. 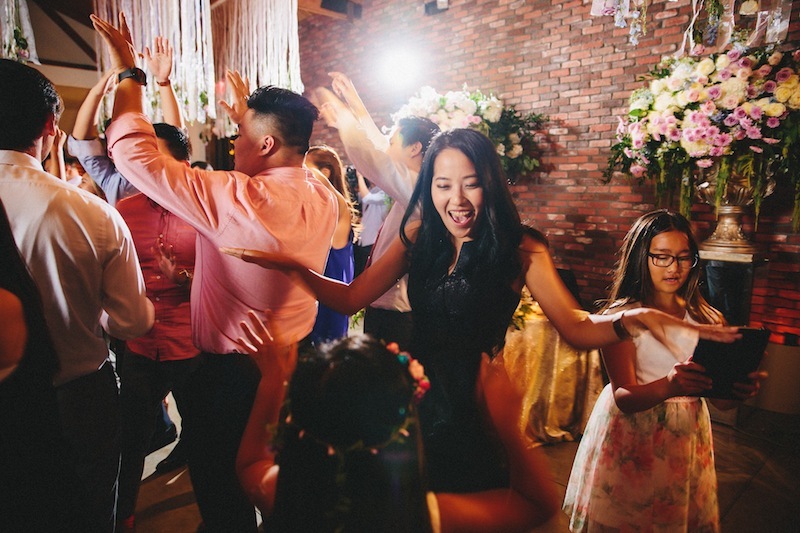 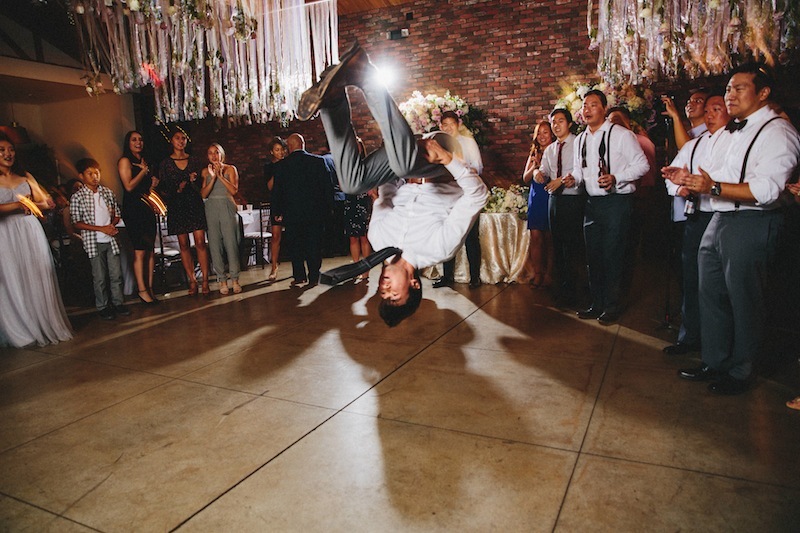 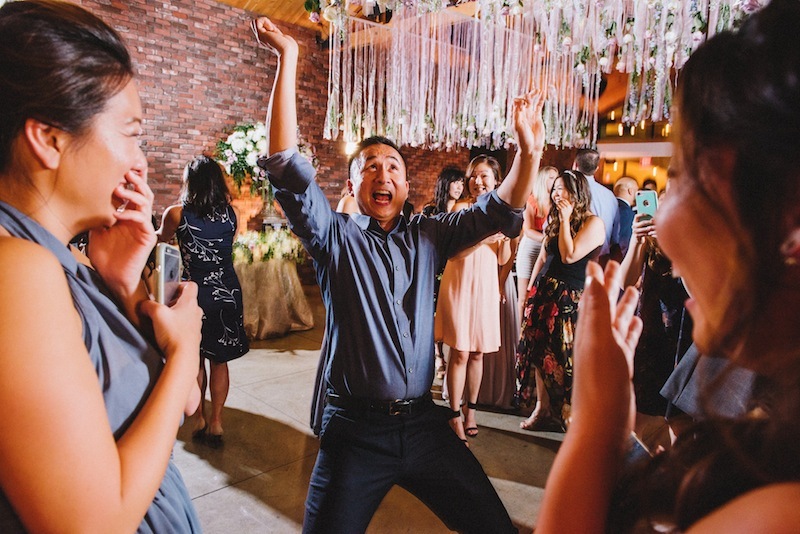 Jennifer and Joseph's bridal party and guests were ready to celebrate and Elevated Pulse had a fantastic time DJing their wedding day!